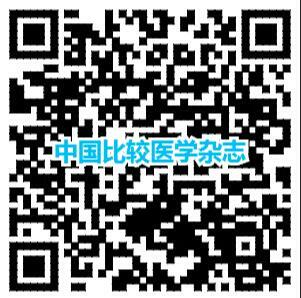 近年来,CRISPR/ Cas9 技术凭借着其操作方便?设计简单?效率高?成本低以及可同时进行多位点编辑等优势,已成为当今最热的新一代基因编辑技术?CRISPR/ Cas9 独特的在RNA 引导下对DNA 进行靶向编辑的作用机制,不仅拓展了各相关领域的科研工作者们对生物体遗传调控的了解,更显示出优良的便捷性?近十年来,该系统在各生物?医学研究领域应用极为广泛,发展迅速?在医学领域,更是显示出极大的潜力?本文从CRISPR/Cas9 基因编辑系统的研究历史?作用机理以及该技术在医学领域的应用等方面综述其最新研究进展,为更好地应用和优化CRISPR/ Cas9 提供参考? In recent years, CRISPR/ Cas9 technology has become the hottest gene editing technology through its advantages of being flexible, efficient, cheap, and easy to operate, and its ability to edit multiple sites at the same time.The unique CRISPR/ Cas9 RNA-guided mechanism of targeted editing of DNA has not only expanded our understanding of the genetic regulation of organisms, but also demonstrated superior convenience. In the last ten years, CRISPR/ Cas9 has been widely used in various biological and medical research fields and has developed rapidly. Especially in the field of medicine, it has shown great potential. This paper summarizes recent advances in CRISPR/ Cas9 technology, and the mechanism of action and application in medicine of the CRISPR/ Cas9 gene editing system, to provide a reference for the application and optimization of this technology.